A community pharmacy is a place where you can buy medicines, have a prescription filled, and learn more about managing medicines and your health. You can visit a pharmacy as your first point of call if you are not sure what your health needs are. Pharmacy staff are trained to help you get to the right person or agency to help you get better. They are also trained to help you stay well. There is a pharmacist available at every community pharmacy. Most pharmacists work in community pharmacies, but you may also find them in hospitals and general practices. The Canterbury Community Pharmacy Group has a list of Canterbury and West Coast pharmacies with their opening hours. what effects you can expect from medicines. Most pharmacies have a private area. Even if you don't see one, tell your pharmacist if you want to discuss your health issues in private. Pharmacists dispense medicines that your doctor has prescribed. Dispensing involves safely preparing the medicines, counting the doses, labelling the containers, and giving them to the patients. It also involves giving the patients appropriate advice about the medicines and making sure they understand the advice. Some medicines are pharmacist-only medicines (or restricted medicines). This means that a pharmacist can supply them without a doctor's prescription. However, you can only buy these medicines after seeking advice from a pharmacist. This is because the pharmacist needs to ask you questions to make sure the medicine is safe for you and to check you are taking it for the right condition. These medicines include emergency contraceptives and some pain relief. All medicines supplied from a pharmacy must be done so under a pharmacist's supervision. This also applies to over-the-counter medicines that you can buy elsewhere, like paracetamol. With your permission, pharmacists can also access your shared health records to help them make sure your medicines are right for you. Pharmacies can help you manage your medicines. This can help if you have a long-term health condition such as diabetes, heart disease or a lung condition. It can also help if you take a lot of different medicines or sometimes forget to take your medicines. The services include the Long Term Conditions Service and the Medication Management Service. These services are free. This questionnaire can help you decide if you would benefit from one of these services. Pharmacy services can also include time with your pharmacist, yellow cards, medicine charts or calendars, reminders for repeat prescriptions, and aids such as weekly or monthly blister packs. Pharmacists must complete a four-year university degree and a year-long internship before registering with the New Zealand Pharmacy Council. To keep practising, pharmacists must hold an annual practising certificate. Each community pharmacy must display a pharmacy licence. Your pharmacy may also have pharmacy technicians, and pharmacy assistants. Pharmacy technicians dispense medicines and work under the supervision of a pharmacist, while pharmacy assistants work outside of the dispensary. Both can either train on the job or gain a qualification through full-time study. If you have any concerns about the professional service you receive from a pharmacist, you can make a complaint to the New Zealand Pharmacy Council. You can find out more about your health rights. There is usually no charge for health advice from a pharmacist. Your district health board (DHB) pays most of the cost of prescription medicines and dispensing. Your contribution (or co-payment) will usually be $5 per item. Children under 14 and people eligible for a prescription subsidy qualify for free prescriptions. Find out more about prescription charges from the Ministry of Health. Some prescription medicines and some services, such as blister packs and home deliveries, are not subsidised. Prices can vary, so ask your pharmacy what their cost is. 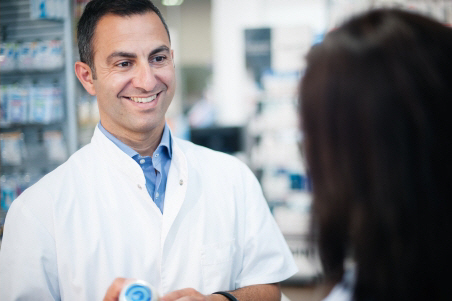 If in doubt, ask the pharmacy to explain any unexpected charges and how you can avoid them. The regulatory body which maintains standards and provides public information about pharmacists. A national health organisation dedicated to improving pharmacy services for Māori. Written by HealthInfo clinical advisers. Last reviewed March 2019.